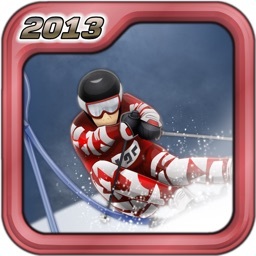 Snowboard Hero™, dual-winner of the prestigious IMGAwards in the categories “Best Sports Game” and “Operators' Choice”, brings an unrivalled snowboard experience with wicked tricks, insane air time and super fast downhill speed to your iPhone and iPad. 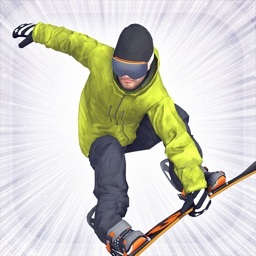 Experience console-quality graphics, intuitive controls and top-notch sound in a stunning alpine setting and show the world that you are the undisputed Snowboard Hero. 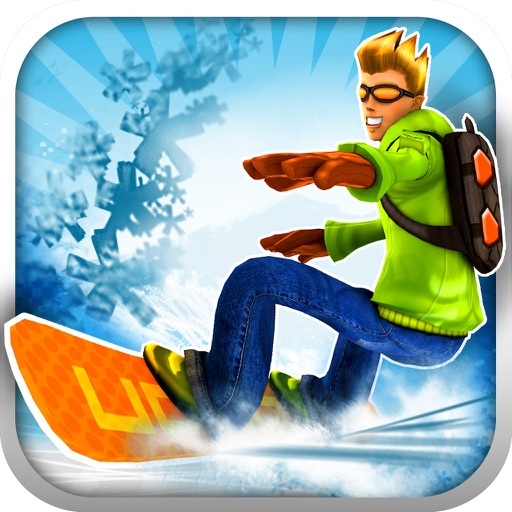 Snowboard Hero™ is an action-packed fun sports spectacle which brings high-speed racing action, sensational air manoeuvres and break-neck tricks to your Apple smartphone or tablet. 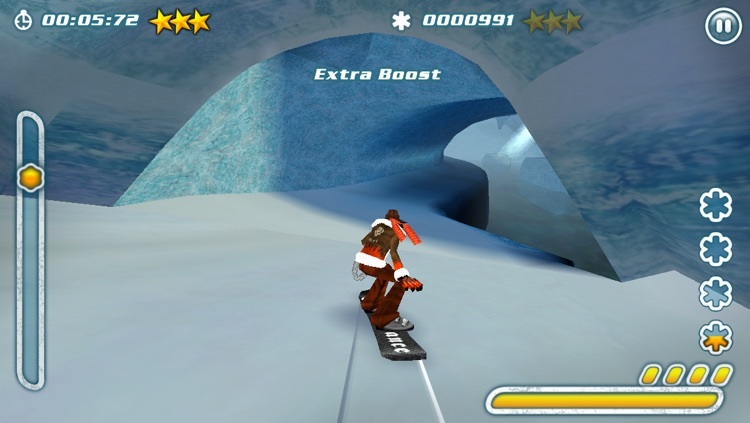 In the game, you take over the role of one of six freaky characters with individual boards, clothes, skills and special moves and race down a total of eight windy slopes consisting not only of hillsides and open alpine areas, but also of half pipes, ski jumps and glacier tunnels. 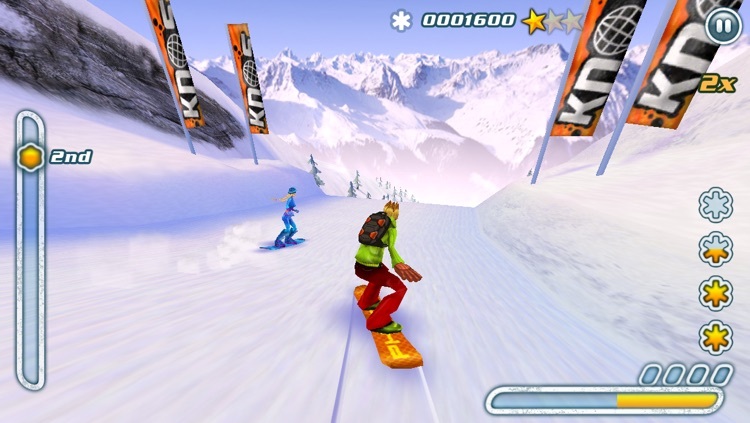 The game’s intuitive controls allow you to perform even the most dare-devil stunts at ease and make for an exciting high-speed ride down the sharpest curves and steepest scarps! Jump over kickers, pass through gates, race as fast as you can or grind whatever obstacle is on your way! 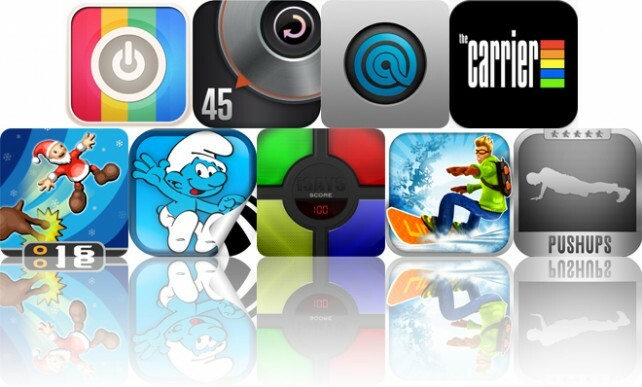 Make sure you collect the power-ups to get an extra boost, trick bonus or cash. 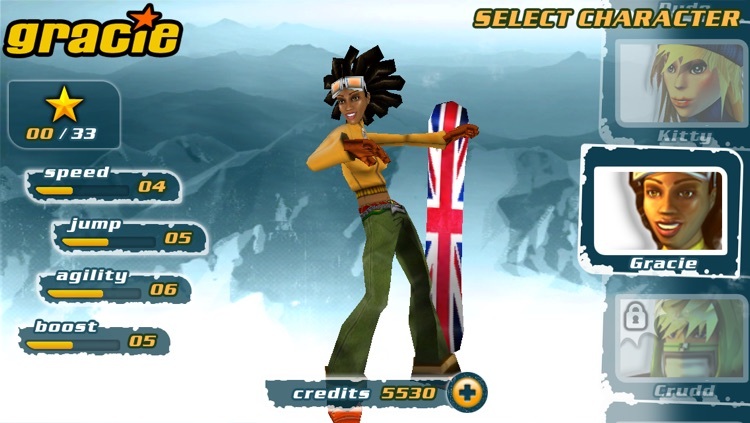 Unlock a huge number of stylish jackets and pants to customize your character and invest your earned cash to buy new boards and improve your character’s abilities. 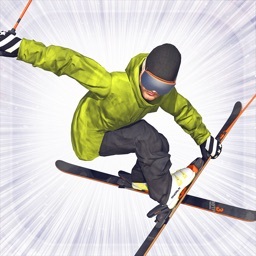 "With more tricks than your average magician, Snowboard Hero offers frenetic fun on the slopes, held together by an intuitive career mode that keeps you on track from start to finish." 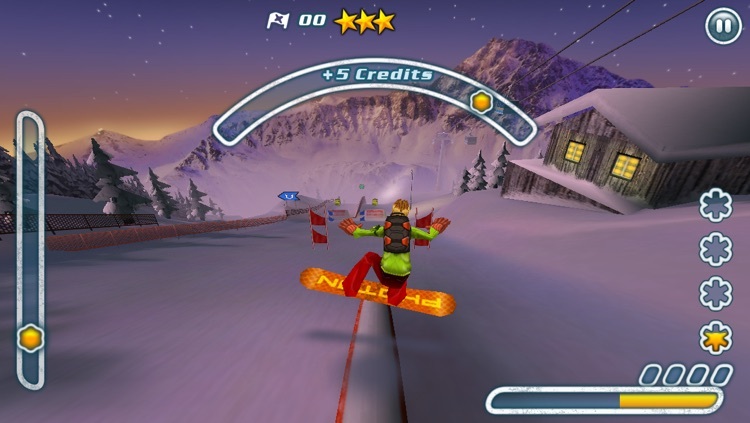 "Snowboard Hero's fun, easy to grasp gameplay and lengthy Career Mode make it far and away the best handheld snowboarding game, full of snow-stuffed challenges and visual style."